Beautiful skin doesn’t happen overnight as treatments take time to show results. A single chemical peel can provide the immediate effect of bright and radiant skin; however, more significant results in treating texture issues, fine lines and inflamed acne could take several treatments and loyalty to the appropriate home care regimen. Using home care products consistently and as directed will aid in achieving your optimal results. 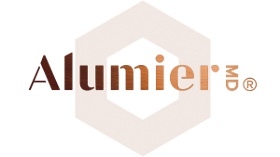 Will AlumierMD chemical peels cause unsightly redness and peeling? No. Clients sometimes expect to peel throughout the complete treated area. But post-treatment peeling is often similar to peeling after a tan. In some cases, exfoliation occurs on a cellular level and is not apparent to the naked eye. The resurfacing exfoliation a client will experience varies depending on the peel strength and individual skin profile. 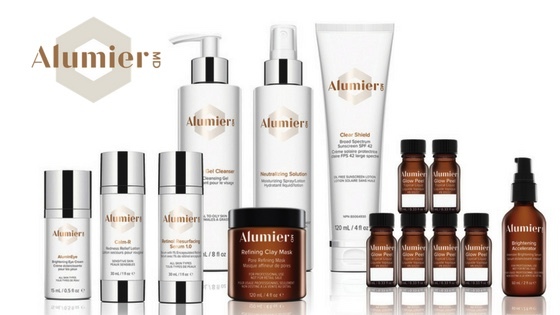 AlumierMD chemical peels are light-to-medium depth, and are formulated to reduce irritation and redness. The skin is initially tender and more sun-sensitive as the epidermis renews itself. After the peeling takes its course (usually 3-5 days after treatment), fresh new skin emerges and ingredients in home care products start to work more effectively. If peeling doesn’t take place, does it mean the peel wasn’t effective? The Enzyme Retexturing Treatment uses a highly effective fruit enzyme resurfacing solution. The unique blend of fruit enzymes exfoliates dead skin and promotes skin renewal. The treatment also includes brightening enhancers, followed by targeted treatment serums to address your specific skin concerns. The result? A reduction in the appearance of fine lines, wrinkles and hyper-pigmentation, whilst soothing and maintaining your skin’s hydration.